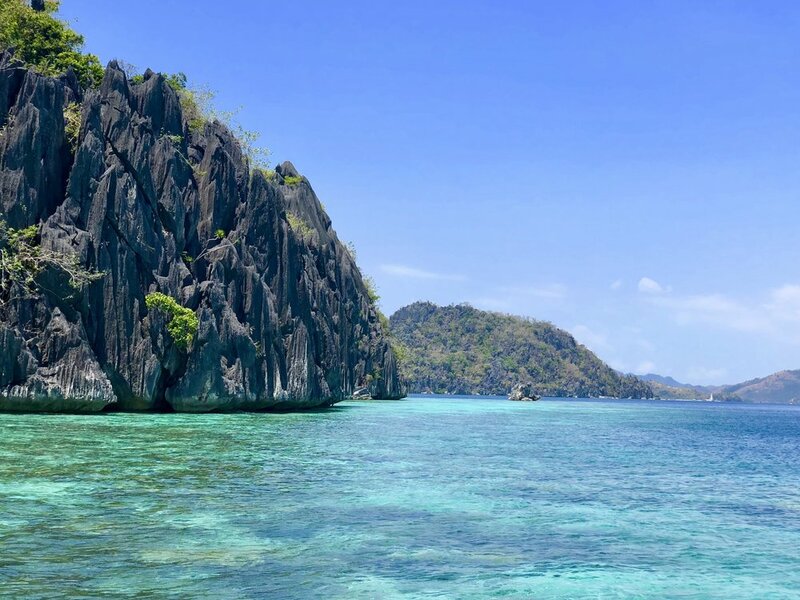 The Philippines has been on my list of places to see for quite some time. Aside from Palawan being rated the most beautiful island in the world for 3 years running, I love island destinations as a whole so I knew I had to get here. Lastly I was determined to build up the courage to conquer my fear and swim in open water. Prior to visiting here, I had some pretty high standards of beautiful water. Not only did this place meet those standards, it flew over them and set even higher ones. My tour of Coron was flawless. It was a day filled with plenty of swimming and snorkeling in the most beautiful waters I’ve ever seen. I was exhausted at the end, but I had an amazing time and I know I got to see what the island has to offer. Pickup was at 8:30am from my hotel and I was taken to a boat to meet my tour guide. Kayagan Lake: Walking to Kayagan Lake can be a bit tiring as you have to climb several stairs to get that epic view that everyone wants. Pace yourself because it is worth it. Immediately following the view we walked down more stairs and was able to do some swimming in lake. Make sure you take in that infamous postcard worthy view at the Kayagan Lake viewpoint. 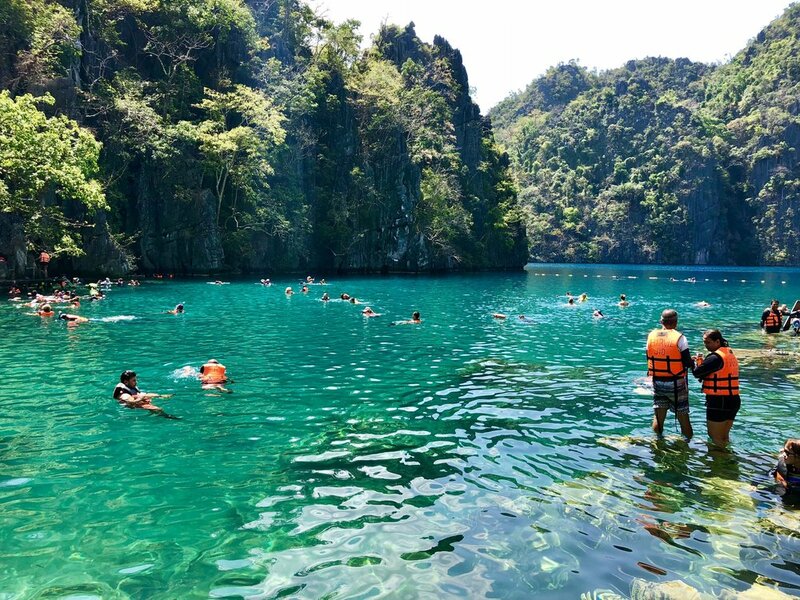 Twin Lagoons: Similar to Kayagan lake, it isn’t an easy task to get to the twin lagoons. You have to swim from your boat through a small tunnel or climb some stairs to do some swimming in here. It takes about 10 minutes max but definitely worth it. Skeleton Wreck: One of the main reasons I came to the Philippines was for our next stop. On September 24th 1944, an operation of the US navy sank 8 Japanese ships in Busuanga. Each ship still remains in different places throughout Coron. We went to get an up close and personal look at one of the wrecks and it was very intriguing. It’s hard to see from the surface of the water so you have to swim down which can be tough. My tour guide was able to help me get way down there to capture some great footage. See Youtube video linked above. Sunset Beach: Halfway through the day it was time for lunch. You will be a bit tired by now from all the swimming. Our next stop was sunset beach where a beautiful lunch was set up at picnic style tables. Our boat chef did an amazing job cooking the food on our boat and even provided plant based options. 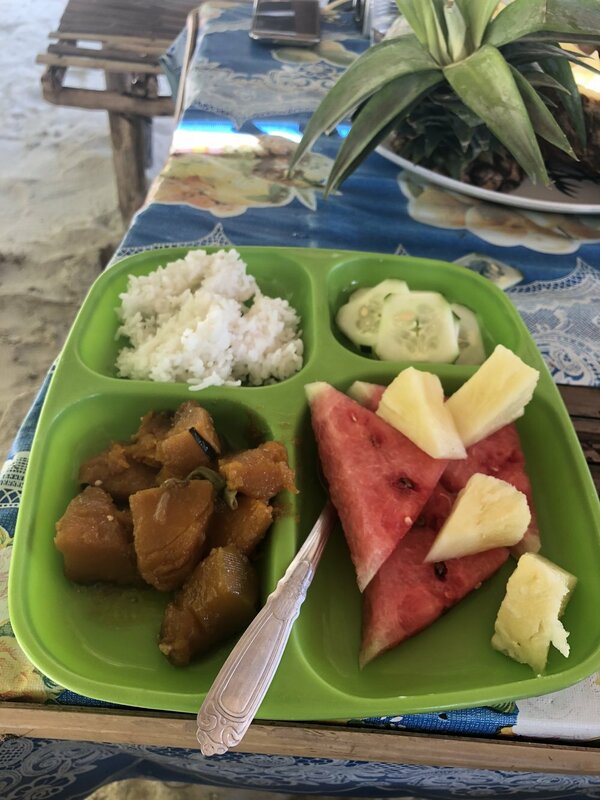 Some of the choices were white rice, jack fish, potatoes, string beans, and cucumber salad followed by a beautiful assortment of fresh fruit. After eating we were able to enjoy the beach to ourselves for a little while before heading to our next stop. CYC Island: Another stop to do some snorkeling or relax on the beach. After having a big lunch you have the option to do either one or to kick back on the boat. I chose to rest during this stop because I was completely wiped out from so much swimming. Reef Garden: The last top was Reef Garden where you will see beautiful corals and sea anemone’s. Some parts of the water here are a bit shallow but it’s important you do not step on the corals (you wouldn’t want anyone stepping on your home either). With a good underwater camera (I used the GoPro Hero 5) you will capture some amazing footage and photos of the underwater life. My Ultimate Coron Experience tour was sponsored by JY Travel & Tours Coron but all opinions are my own. 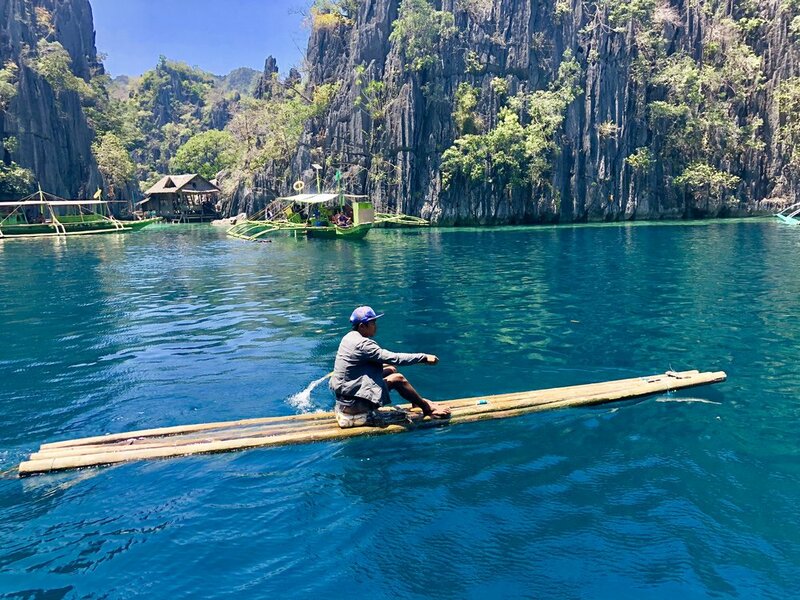 Getting to Coron can be a bit tricky because it's in the Northern region of Palawan. I caught a flight to Coron from Cebu via AirAsia for $60 (flight was 1.5 hours). There are other options to get to Coron if flights are not available. 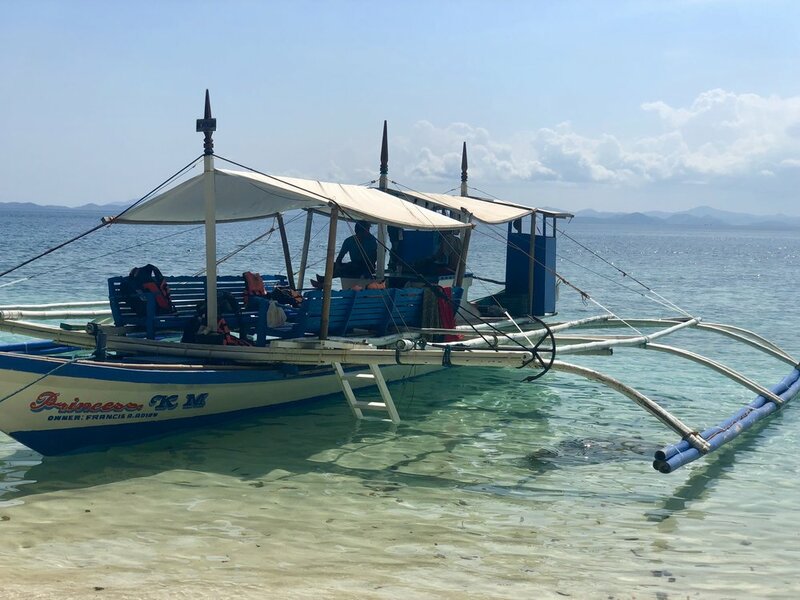 The Fast Ferry from El Nido is another practical option. It costs about $35 and takes 3-4 hours. Water shoes are a must for any tour. Same with snorkeling gear. Pack other essentials such as sunscreen, sunglasses, towel, etc. A waterproof phone carrier came in handy for my Iphone. They are on Amazon for about $10. Coron has a lot of dirt roads so wear comfortable walking shoes for when you're in town!